Adam Newth, recently named as Young Scottish Chef of the Year, will be in the Cookery Theatre. The country’s green-fingered types are getting excited as Gardening Scotland gets ready to bloom. Billed as ‘the country’s Outdoor Living Show’, the event takes place from Friday 3rd to Sunday 5th June at the Royal Highland Centre, Edinburgh. While gardening is obviously the main focus of the event, it is by no means the only attraction. Food, cookery and music all get a look in. Foodies can take inspiration from the event’s Cookery Theatre, which will play host to a range of well-known chefs such as Wendy Barrie from the Scottish Food Guide and Neil Forbes from Café St Honoré. Also making an appearance is Adam Newth of Tayberry restaurant. 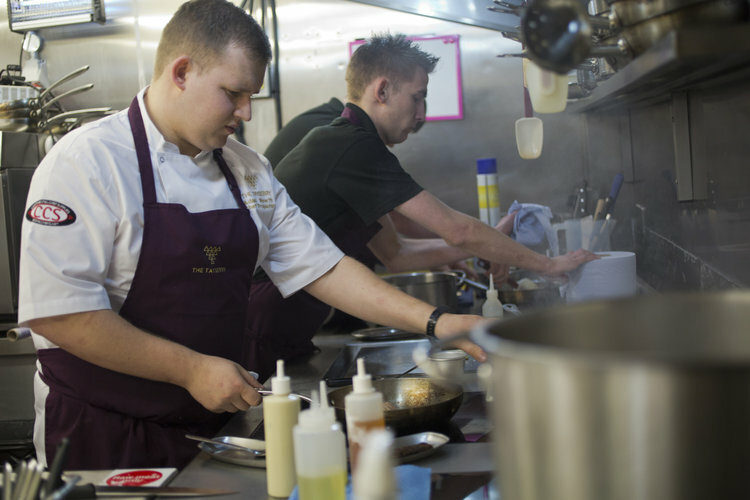 The fast rising young chef was recently crowned Young Scottish Chef of the Year at the prestigious CIS Excellence Awards. Visitors will get expert tips for recipes using the very best Scottish produce. The Living Garden exhibition will also demonstrate how you can grow your own produce, from herbs to fruit and vegetables. The Food Fayre is packed with artisan producers such as Perthshire Oatcakes, Seriously Good Venison Limited and In Vodka Veritas. A quick browse around the stalls and you will have no problem finding great ingredients for all your new recipe ideas. ‘There will be something for everyone at this year’s Gardening Scotland. People love their gardens for all sorts of reasons, whether that’s for flowers, enjoying food or having an outdoor space to have fun in and enjoy time with friends. Having a keen interest in music as well as scoff, the 5pm Dining blog was tickled by the news that a musical combo called The Barrowband would be playing. Apparently, the band’s mission is to change the eating habits of a nation while singing and playing the finest set of fruit and veg songs on Earth and beyond. It’s surely only a matter of time before they headline at their namesake, The Barrowlands. Advance tickets and packages start from just £14 and are available from the website or by calling 0131 333 0965.